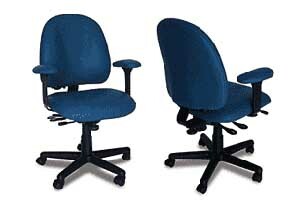 The Super 2000 is designed to offer high quality, multi-function seating with extensive user options. Complete adjustability and aesthetically pleasing the Super 2000 is Super affordable. Choose from eight seat options and 5 arm options! The sculpted back provides total support with the new Air Pump Lumbar feature!